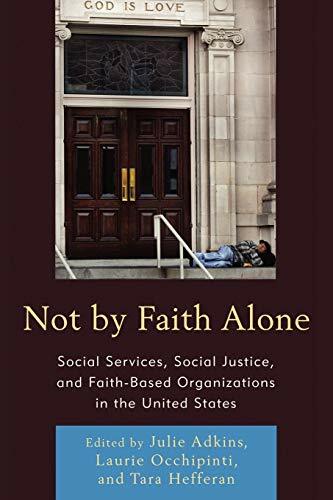 This edited collection provides an in-depth ethnographic study of faith-based development organizations in the United States, shining a much needed critical light onto these organizations and their role in the United States by exploring the varied ways that faith-based organizations attempt to mend the fissures and mitigate the effects of neoliberal capitalism, poverty, and the social service sector on the poor and powerless. In doing so, Not by Faith Alone generates provocative and sophisticated analyses-grounded in empirical case studies-of such topics as the meaning of "faith-based" development, evaluations of faith-based versus secular approaches, the influence of faith-orientation on program formulation and delivery, and examinations of faith-based organizations' impacts on structural inequality and poverty alleviation. 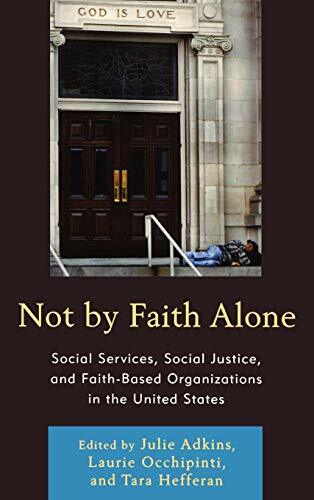 Taken together, the chapters in this volume demonstrate the vital importance of ethnography for understanding the particular role of faith-based agencies in development. The contributors argue for an understanding of faith-based development that moves beyond either dismissing or uncritically supporting faith-based initiatives. Instead, contributors demonstrate the importance of grounded analysis of the specific discourses, practices, and beliefs that imbue faith-based development with such power and reveal both the promise and the limitations of this particular vehicle of service delivery. Julie Adkins is adjunct faculty in the Department of Anthropology and Perkins School of Theology at Southern Methodist University and in the Department of Sociology and Anthropology at the University of Texas at Arlington. Laurie Occhipinti is assistant professor in the Department of Anthropology, Geography, and Earth Sciences at Clarion University. Tara Hefferan is visiting assistant professor in the Department of Sociology, Anthropology, and Social Work at Central Michigan University.